Airtherm Engineering Limited has recently completed a multiple flue installation at Stuart Bathurst High School, Wednesbury in the West Midlands. 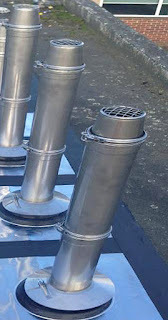 The flue product selected was our single wall stainless steel product, used predominantly on fully condensing boiler applications. We worked closely with the consultant and contractor Spagas Limited, to ensure a cost-efficient solution. 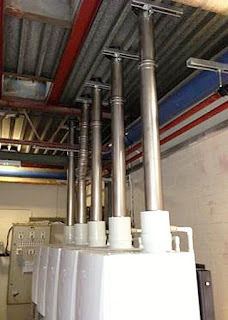 Airtherm also supplied and installed a flue system featuring a horizontal common header. The 12m high vertical stack serves three Broag boilers located in one of the boiler houses in the School. Stuart Bathurst Catholic High School is a College of Performing Arts, and offers a distinctive Catholic inclusive education based on traditional Christian values and high expectations.